SAN-EI SEIKI is proud to manufacture World-Class Air Hoists with total manufacturing from Air Motors and have total Japanese Quality Control. 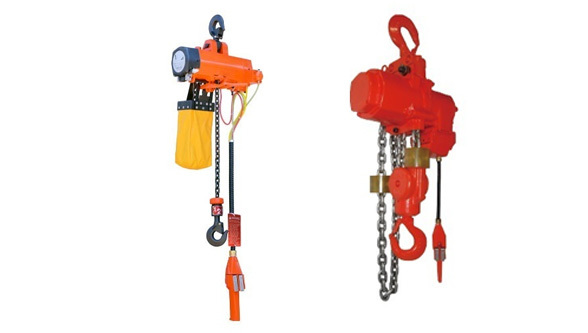 Our Air Hoists are popular for Precision, Rigidity and High Durability. Especially with repeat lifting application. SAN-EI Air Hoists are high speed and don’t overheat. Reduces operator fatigue. Compact design allows easy handling.Highly rigid construction. SAN-EI Air Hoist use continuously variable speed controls that allows smooth, continuous operation for precise parts positioning in Assembly Lines and also on fixtures. Smooth push button pendant operation. >SAN-EI Air Hoist is ready to work as soon as you connect the air hose. No electrical power is required. Designed for usage in high temperature environments,Chemical fumes, inflammable gas. Effective Braking: Durable pneumatic brake allows safe stopping.